YOUR SEARCH IS OVER!! You don’t want to miss this EXECUTIVE HOME located in the desirable Devonshire at Ridgemoor community!! With TONS OF UPGRADES this breathtaking home features almost 3500 heated sq ft 5 bedrooms 3 full baths a loft plantation shutters throughout crown molding on the entire 1st floor loads of outdoor pavers w/custom outdoor kitchen & firepit saltwater pool & spa and CONSERVATION VIEWS!! The pavered driveway & walkway leads you through the front double doors while being greeted with a lovely formal living room & separate dining room. The stunning island kitchen features gorgeous Cambria Quartz counters unique stone backsplash loads of cabinets & overlooks the breakfast nook. The panoramic view & oversized sliders bring the grand family room together w/custom wood paneled wall. The downstairs also has a bedroom w/its own bath. 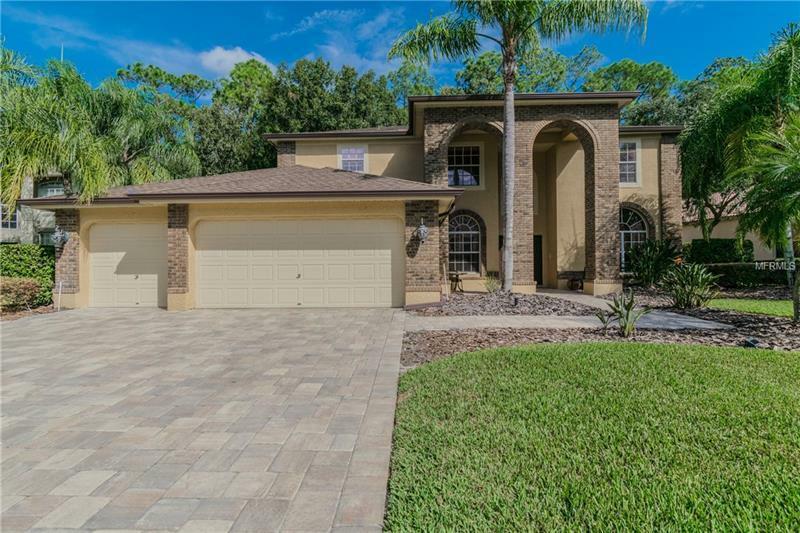 Upstairs you’re going to love the bonus/game room and the huge master retreat w/large master bath new granite counters dual undermount sinks tub & separate walk-in shower. Secondary bedrooms are spacious & share updated custom bath w/quartz counters & loads of marble tiles!! Enjoy Paradise living with a Tall 2 story screen Spill-over Spa Rock Waterfall & Solar Heated SALTWATER PebbleTec Pool & to top it off the “U” shaped CUSTOM STONE OUTDOOR KITCHEN. Homeowners in Ridgemoor have the enjoyment of their own park playground tennis courts & the convenience of being located close to shops golf restaurants YMCA & A+ East Lake Schools.